We are Last Key Realty, a Key West Vacation Rental broker, a Buyers’ Broker, and a Property Manager in Key West, FL. We are a company of people who are passionate about Key West, and who feel a special responsibility to those visiting the Keys, those pursuing the purchase of property in the Keys, and those in need of property management services for their rental homes in the Keys. We want our guests and clients to come away feeling the same magic that we felt ourselves when we first came to Key West, and the same magic that has kept us here since. Each of the homes on our website have been designed and furnished with that unique “Conch Republic” flavor, but also with the idea that our guests should feel right at home. With so many vacation homes making do with the barest of essentials, each of the homes we have to offer will come as a pleasant surprise. We also pride ourselves in the service we provide for our guests, whether it’s just recommending a great restaurant, or dealing with a maintenance issue in the least amount of time possible. If you have any questions, you can call us at any time. We provide personalized concierge services to each of our guests, as we are dedicated to ensuring that your time on the island is as enjoyable outside of your vacation home as it is inside of it. As a company, we have a full-time professional concierge accessible 7 days per week from 8AM to 10PM to assist in planning and arranging your ultimate Key West experience, be it dinner reservations, bicycle rentals, excursion scheduling, or even in-home spa services. Reach the Last Key Concierge at 305-290-2522 or via email at info@lastkeyconcierge.com. Each of our rental homes also includes a dedicated Guest Services Coordinator, a real person available to you to handle any issues or answer your questions throughout your stay. Once your reservation is confirmed with us, you will be contacted with a concierge survey and the Last Key Concierge will work from your personalized response to arrange the details of your trip before you arrive. 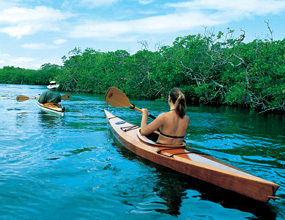 All you have to do is get to Key West, and we will have the rest taken care of. Although our homes are very true to the photos here on our website, we appreciate that many renters prefer to personally view a home prior to confirming a rental. We are available to walk you through any of our rental homes free of charge, as long as the home is not occupied by renters at that time. 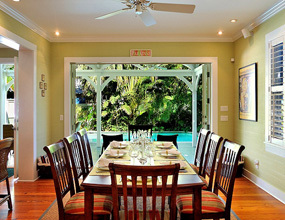 Contact us today to arrange for a private tour of any of our Key West vacation rentals, subject to rental schedule. Not able to come tour a home for yourself? We encourage vacation rental "shoppers" to take a look at the reviews past guests have entered for our homes on our listing site, HomeAway. Just click on the Reviews image on the bottom of any of our rental listings to see what past guests have said about the home, and the service provided by Last Key. IMPORTANT: You may have seen ads on Craigslist that seem to be from us or about our properties. Please be aware that Last Key Realty does NOT advertise on Craigslist or similar sites, and a response to an ad for a Last Key Realty property on these sites does not come to us in any form. These ads are run by scammers who have no intention of honoring your reservation. At Last Key Realty, we take pride in the security of our guests and the protection of your personal and financial information. To ensure you are renting and communicating with Last Key Realty, contact us via phone, email, or through our HomeAway and VRBO listings.